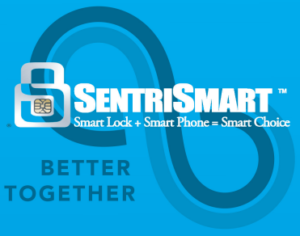 The SentriSmart mobile app is included with your lockbox access and works in boxes with updated software or any Bluetooth box. For boxes that are not Bluetooth, the mobile app will only work where cell signal is available. SENTRISMART IS NOW INTEGRATED WITH THE RPR® AND HOMESNAP APPS! 1. Use the SentriSmart app to select the property from the list, enter your PIN and select open. Once you receive the successful pop up, select OK and you will get a second pop up to link to RPR®. 2. Click “View Property Details” in the RPR® popup window in SentriSmart and it will link you directly to the property information in the RPR® app. 3. Review the property information in the RPR® app. If you need to do any further lockbox functions, you will close the RPR® app and re-open SentriSmart. When using SentriSmart to open a lockbox, the agent safety feature will launch. This feature will automatically alert your designated emergency contacts when you do not or cannot confirm you are safe.